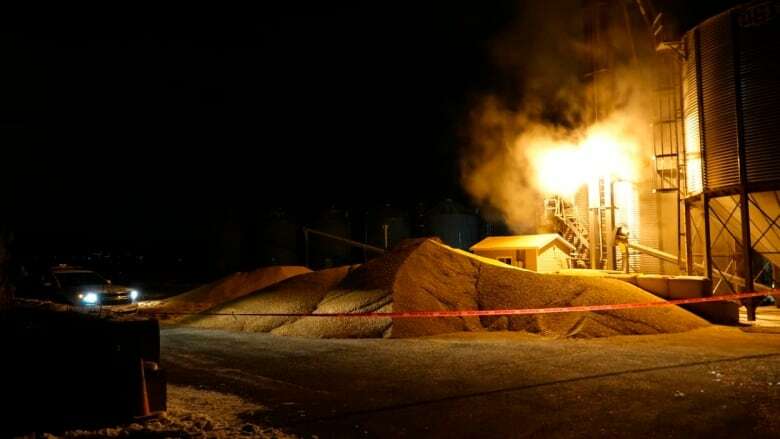 A worker died Sunday after being found half buried under grain on a farm in Marieville south east of Montreal. A worker died Sunday after being found half buried under grain on a farm south east of Montreal. At approximately 4:45 pm, emergency services were called to the site in Marieville, about 30 kilometres southeast of Montreal. The victim, a man in his 60s, was discovered by a colleague, buried under grain delivered by a dump truck. The first officers on the scene began administering CPR on the unconscious victim. He was brought to hospital in Saint-Jean-sur-Richelieu where he was later pronounced dead, said SQ spokeswoman Audrey-Anne Bilodeau. Quebec's workplace safety watchdog, CNESST, is investigating, but the police say the death is not criminal.